Home Community Development Entertainment Leisure and Travel NIGERIANS MUST HEAR THIS! MIKEL SAID HE SPENT OVER £30,000 IN THE OLYMPICS! NIGERIANS MUST HEAR THIS! MIKEL SAID HE SPENT OVER £30,000 IN THE OLYMPICS! It seems we have not yet heard of the plenty plenty bad bad things that happened during the just concluded Olympics. Read as Mikel provides insight on the events that led to the saga at the Olympics. MIKEL: "I think if we talk about the money that I put into the team I think it was more than [£30,000] but we just had to do it. "I said to myself, 'I won’t let this happen. If I can help, I’ll try to help'. Sometimes there was no food, sometimes there was no pitch to train on, there was no bus to go to the training ground. So all of this was what me and the coach had to figure out, and get money together. "I came to the camp. I sat down with the boys in Atlanta and I could see the frustration, the pain and the anger. Their aim was to play in the Olympics, their goal was to play in the Olympics. "And for me being there and seeing what they are going through, they are young boys, they want to start their career and someone in the ministry is trying to crush that dream." "So if the ministry don’t want to take responsibility, we have to make sure we play for ourselves and our country. The boys understand that and we made sure they went along with my message that I kept putting across to them every single day and we managed to achieve what we did achieve." 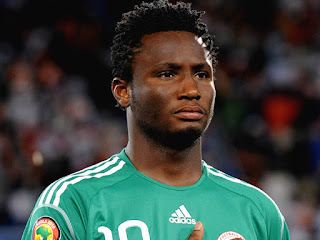 What do you guys think about this embarrassing news by Mikel himself about team Nigeria.